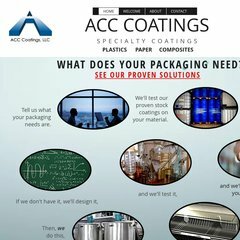 www.Acc-coatings.com - ACC Coatings LLC. Topics: Markets Served, Team, What's New, and Anti-fog Coatings. American Registry For Internet Numbers (Virginia, Chantilly) is the location of the Apache/2 server. Its IP Number is 69.73.141.157. Its 2 nameservers are vns2.nocdirect.com, and vns1.nocdirect.com. PING (69.73.141.157) 56(84) bytes of data. A ping speed test response, is timed at 46.6 ms.